The Lean Startup is a methodology that helps increase our odds of success when working on a venture under conditions of extreme uncertainty. Through systematic, rapid experimentation, we attempt to validate our biggest assumptions before investing the significant time and effort it will take to bring our idea to life. The vehicles for these experiments are Minimum Viable Products or MVPs. With an MVP, we build just enough product to learn in-market whether our assumptions about how customers will respond to our venture are correct. Through this learning, we can make adjustments to improve our idea or decide to pivot to a different idea. This resistance comes from an underlying misconception about MVPs. 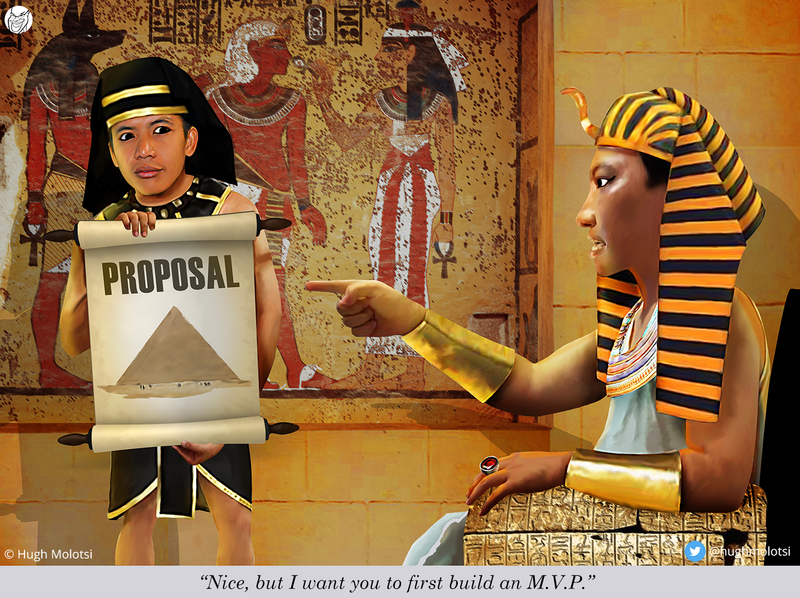 Many people think an MVP is a partially-built version of the eventual product or service. However, if you think of MVPs as instruments for exploration, you open up the possibilities for numerous ways of testing all kinds of endeavors. To run a good experiment, make sure you’re measuring real customer behavior, and not getting reactions to hypothetical questions. The more believable your MVP is, the more you can trust the results from your experiments. For almost every venture, one of the first assumptions to test is whether or not customers are even interested in the product you envision. The Landing Page MVP is a common approach to testing this assumption. In this approach, you create a web page that sells your future product as if it’s available today and find out how many customers attempt to buy it. If your venture’s target customers are enterprises, there’s an experiment approach similar to the Landing Page MVP in ease of execution. With the Spec Sheet MVP, you create a specification document for your future product that has the form and detail of the documents you publish for your existing products. You can then use this spec sheet to engage with prospective customers and gauge their interest. For example, General Electric (GE) builds heavy-duty gas turbines for electric power generation; massive machines that sell for multi-millions of dollars and their typical product development cycle is five years. After committing to using the Lean Startup methodology, GE developed a four-page spec sheet which included dimensions, weight, performance and an artist rendering. Using this spec sheet with prospects, GE learned that there was demand for large-scale generators in remote parts of Asia, but they needed to be powered by diesel (instead of natural gas) since the fuel would need to be trucked in*. So if you’re about to embark on a venture with extreme uncertainty, you don’t have to rely on luck, even if your product is not software. Indeed, if GE can build MVPs for 30-ton power generators, you too can build MVPs that will help you learn and increase your odds of success. If you’re new to using experimentation in your company, learn about baby steps you can take to get started. Remember, whatever your new venture, there’s an MVP for that! * Based on a GE: FastWorks case study written by Marilyn Gorman, © 2017 Lean Startup Co.